Home / caos / chilling adventures of sabrina / movie / netflix / news / tv / 5 reasons why Netflix's "Sabrina" scared the S#!t out of us! Remember that '90s "Sabrina The Teenage Witch" sitcom starring Mellisa Joan Hart? Well your childhood self can forget all about that, because the new 10-episode Netflix series sets the tone quite a few levels darker (towards the underworld). In a very Gothic horror themed "Chilling Adventures of Sabrina" (CAOS), Kiernan Shipka plays 16-year-old Sabrina, a half-human half-witch. 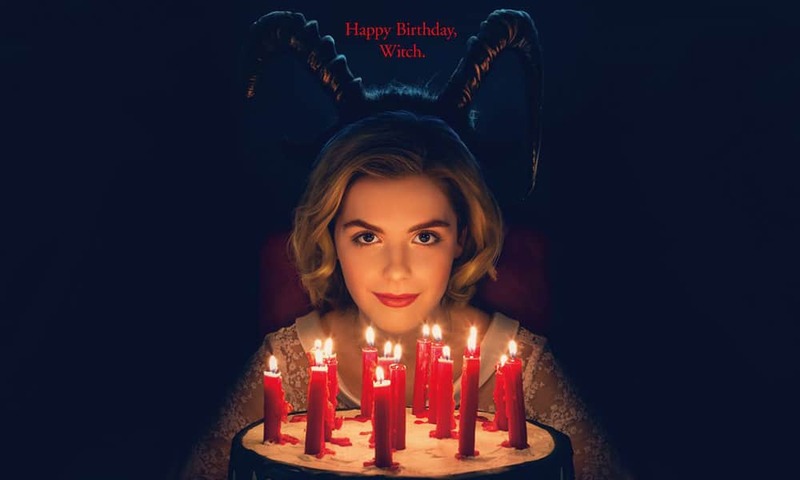 Adapted closely from the 2014 spin-off "Sabrina" comics, the writer itself, Roberto Aguirre-Sacasa, is also the series’ showrunner hence why the series is also rather gory, violent and at times disturbing, true to the original material. If you have a thrist for all things dark and edgy, then read on below on to find out just why CAOS is something you should go binge on Netflix today! It's connected to the "Riverdale" universe! Did you spot this clue? Shhh, no spoilers! If the feel of the show seems familiar to you it's set in the same Universe as "Riverdale"! 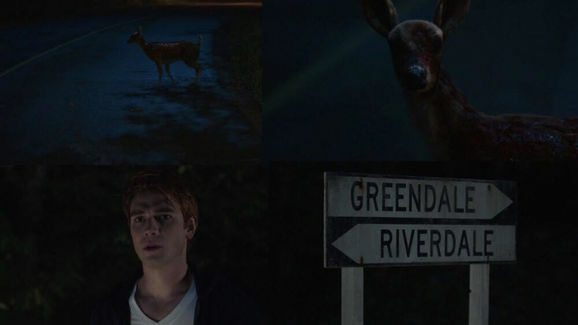 Apparently the town that Sabrina lives in is called Greendale, and it's just across the river from Archie and gang. Both the entities are after all owned by Archie Comics, whose imprint, Archie Horror is adapted for its darker themes especially for Netflix! Ok, now when can we have that crossover episode? Hmm? Remember Don Draper's daughter in the period drama series "Mad Men"? That same lass has grown up and is none other our teenage lead, Sabrina. No stranger to dramatic roles, her character as the troubled Sally Draper who goes on a bend in dealing with her parents broken marriage and teenage drama had put her on many critic's must watch list. Could we think of a better young actress to embody the dark gravitas needed to play Sabrina Spellman? Nope. Did you know that the '90s series' Salem the cat was actually a puppet? 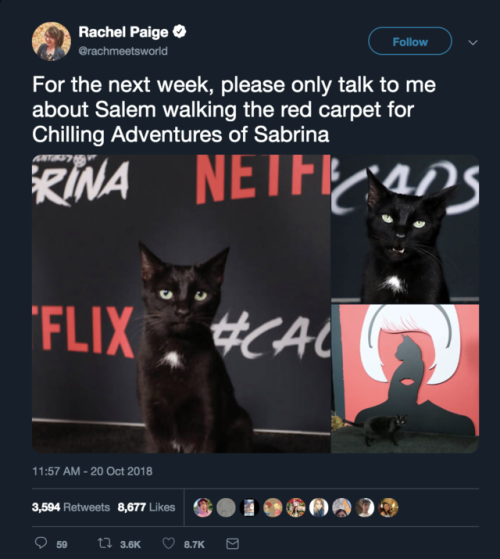 Although that one had the ability to talk and boy was he snarky!, the one in "The Chilling Adventures of Sabrina" is played by a real living cat - Aww, it even walked the red carpet of the premiere event recently - and serves as Sabrina's 'familiar', which in this universe means that its actually a goblin that takes on the shape of an animal to serve its witch master. Only Sabrina is able to understand Salem when he 'meows'. 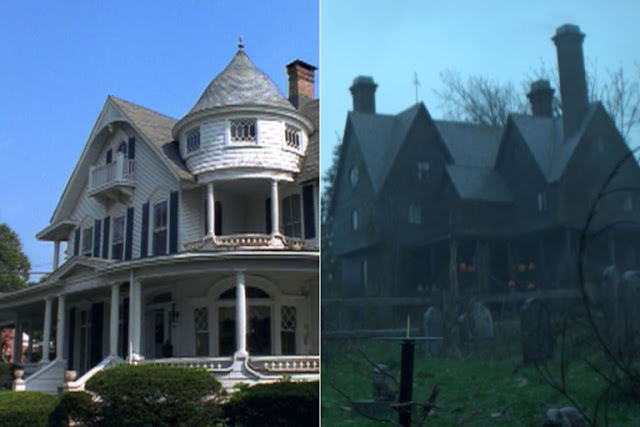 The Spellman House is a mortuary! What's creepier than living in a huge house filled with witchcraft and curses? The answer is a house with dead bodies. That's right, this time Sabrina's home that she shares with Aunt Hilda and Zelda, as well as her century old warlock cousin, Ambrose, is actually home to dead bodies! While the '90s sitcom was mostly of Sabrina dealing with the growing pains of high school life, catching the eye of her crush Harvey Kinkle and navigating spells, in CAOS Sabrina has more pressing matters to deal with, that is to give herself away to the Dark Lord aka Satan himself by joining the Church of the Night. Whoa! There are quite a number of appearances by Beelzebub himself and things like Dark Baptism and Book of the Beast so naturally the show doesn't shy away from depictions of sinister Satanic rituals (we hope they're all fictional. GULP). Anyway, true to the name of the show, be prepared for some chilling moments indeed.